Housed in protective plastic capsule. 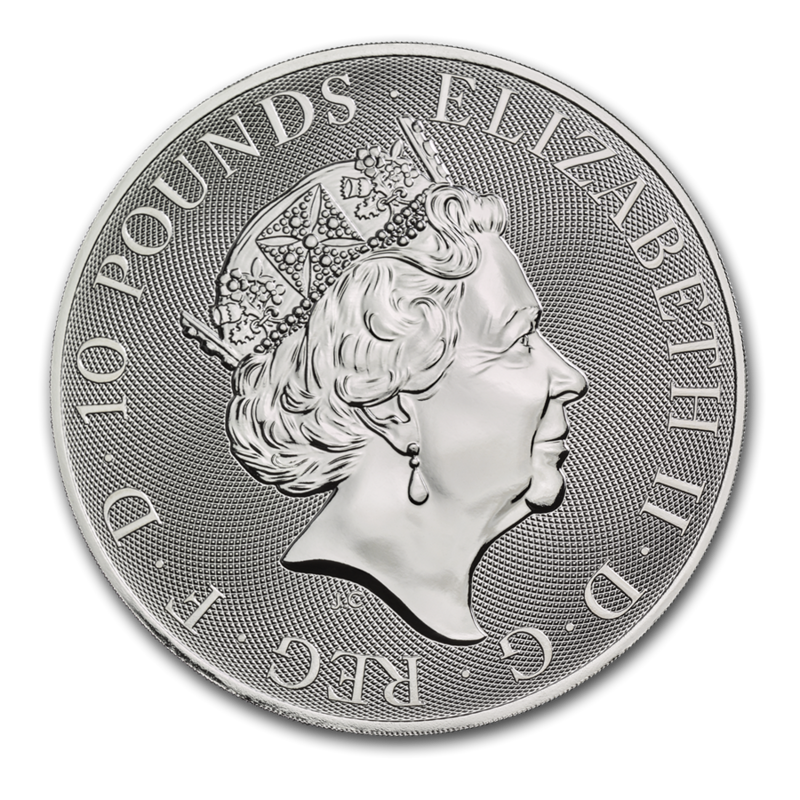 Obverse: Displays the effigy of Her Majesty Queen Elizabeth II, along with the face value of 10 pounds. Reverse: Features St. George and the dragon from the well-known English legend. The reverse is designed by Etienne Milner, the coin’s original designer. This impressive .9999 fine Silver coin features one of England’s most famous legends of St. George and the dragon. It is the second release of the 10 oz Valiant coin, first released in 2018. This coin celebrates a legend representing honor, courage and victory, with its impressive design of St. George and the dragon. Add this stunning .9999 fine 10 oz Silver Valiant coin from the Royal Mint to your cart today! The famous legend of Saint George and the Dragon represents victory and honor. There are many variations of the legend, but all mention the hero Saint George traveling, where he comes across a town distressed by a dragon. The dragon has taken a princess as his prisoner. Saint George decided to help the town by slaying the beast. 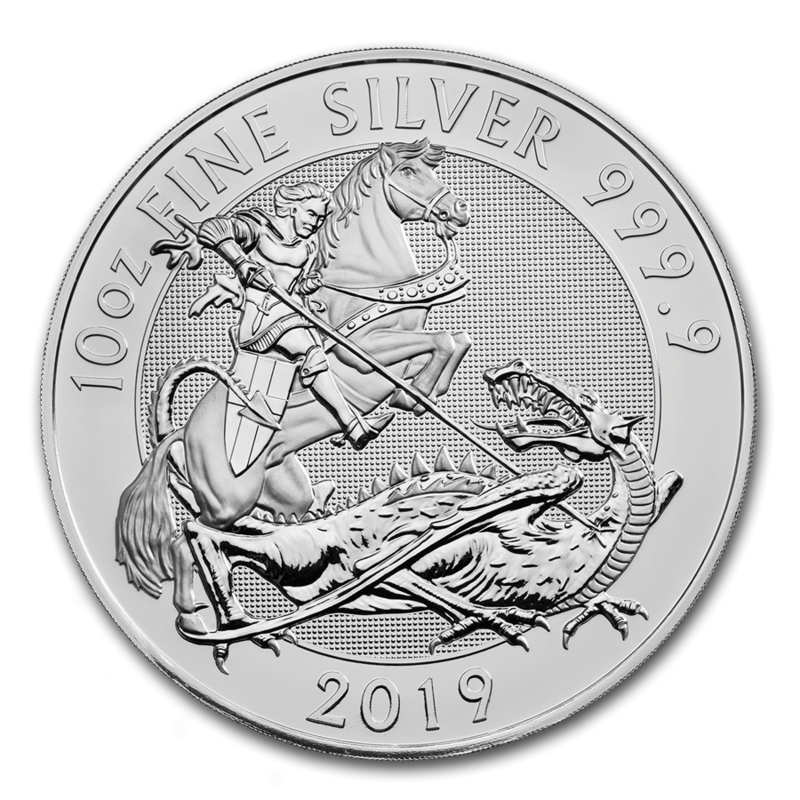 Saint George brandished his sword at the dragon, which is the battle depicted on this 10 oz Silver Valiant coin from The Royal Mint.